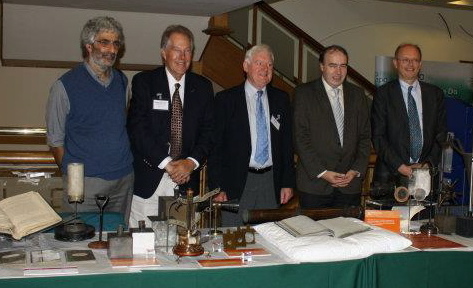 Our Science Director, Richard Somerville, recently keynoted a conference in Ireland on John Tyndall (often considered the “father” of climate science), giving a lecture entitled “Tyndall: His Life and Scientific Heritage.” You can see Richard in action at the conference in this clip from a television news show in Dublin here. Richard also gave a public lecture, which can be found in full below. Richard also did a radio interview with Pat Kenny, a well-known Irish broadcaster. In the interview, Richard responded to many commonly asked questions, successfully asserting climate change science and fact over denier myth and propaganda. A recap, including the audio file of the interview, can be found here.